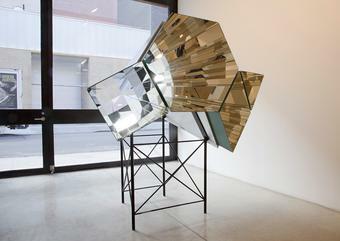 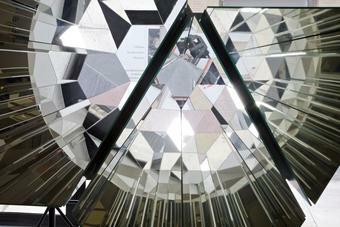 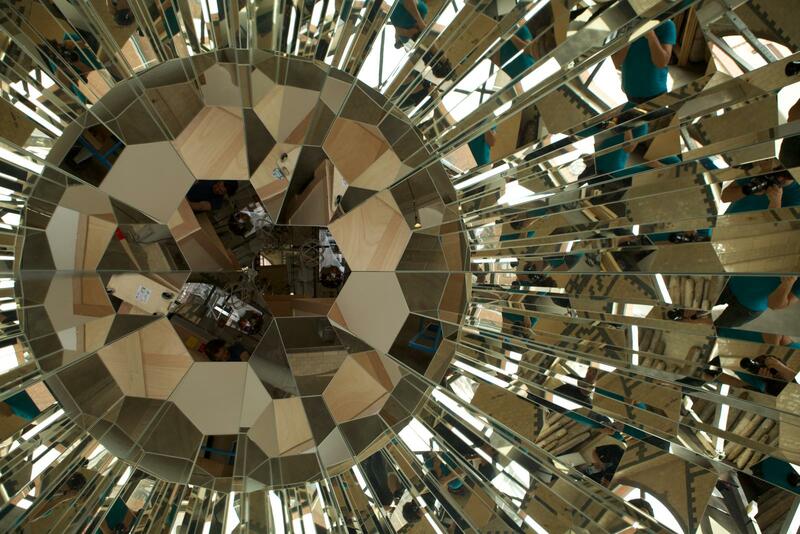 Four simple kaleidoscopes have been constructed as tapered stainless-steel shafts with mirrored interiors; each kaleidoscope has a different aperture shape – one square, one hexagonal, one rhomboid, and one triangular. 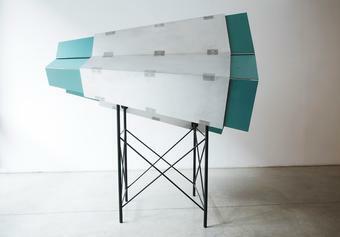 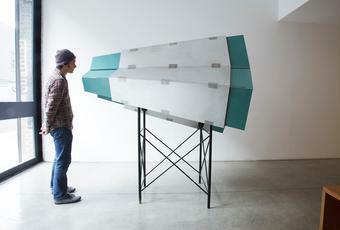 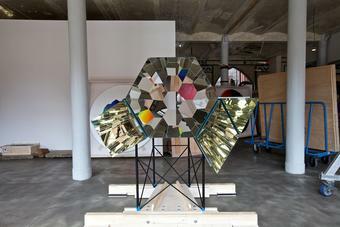 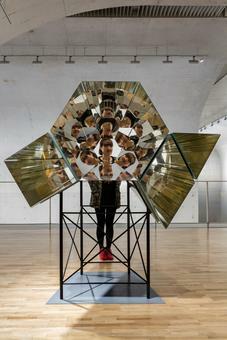 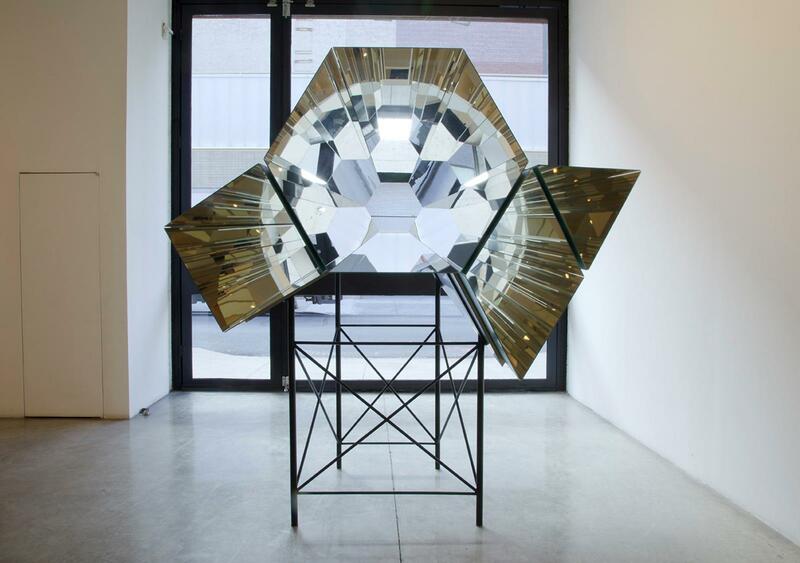 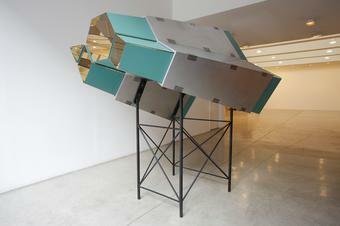 The kaleidoscopes have been mounted together on a black metal frame in such a way that they all focus on the same point. 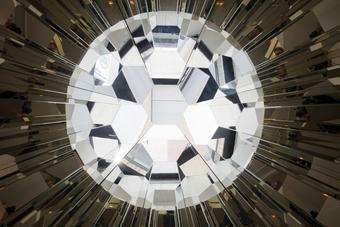 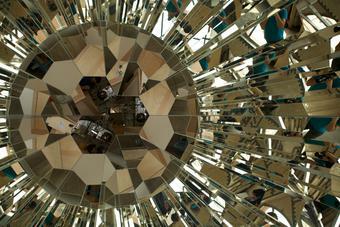 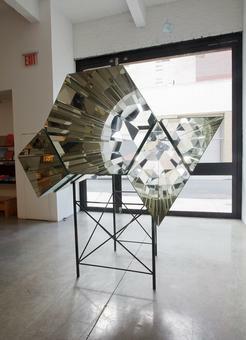 Looking inside, the viewer sees that the seemingly infinite fragmentary reflections conjure the illusion of a faceted spherical polyhedron, which also appears to traverse the boundaries of each individual kaleidoscope. 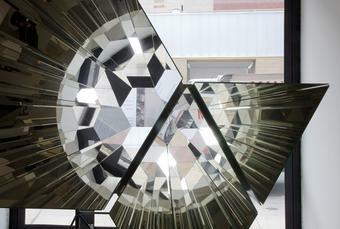 The specific geometry of the polyhedron is different in each kaleidoscope, corresponding to the particular shape of the kaleidoscope’s aperture.